Owen is the organizer of the Montgomery clan, running the family’s construction business with an iron fist - and an even less flexible spreadsheet. And though his brothers give him grief for his compulsive list making, the Inn BoonsBoro is about to open right on schedule. The only thing Owen didn’t plan for was Avery MacTavish... Avery’s popular pizza place is right across the street from the inn, giving her a firsthand look at its amazing renovation - and a newfound appreciation for Owen. Darcy Gallagher has always believed in the pull of fate, the magic of legend...and the importance of money. She longs to find a rich man who will sweep her away - into a world filled with glamour and adventure, and the exotic life that is her destiny. And on the surface, Emma's love life seems to be thriving. Slim and sultry, she brings color into every room she enters, just like the arrangements she creates. Though men swarm around her, she still hasn't found Mr. Right. And the last place she's looking is right under her nose. But that's just where Jack Cooke is. He's so close to the women of Vows that he's practically family. But the architect has begun to admit to himself that his feelings for Emma have developed into much more than friendship. And when Emma returns his passion - kiss for blistering kiss - things start to get complicated at Vows. Jack has never been big on commitment, though, while Emma yearns for a lifelong love affair. If the two are to find common ground, they must trust in their history - and in their hearts. This book is pure romance. 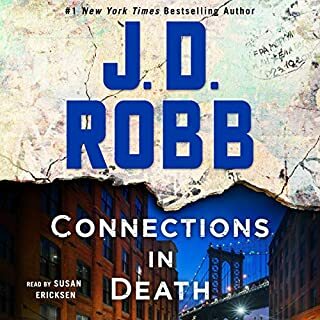 If you are looking for a little suspense or danger with your romance this is not the book for you. But if you like sweet romantic love stories get this book. 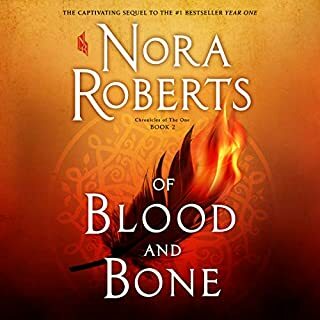 This is the second book in the series and I have enjoyed both...can't wait until the third book comes out! I found this book to be fantastic. I was actually very impressed with the narrator. She had a great voice, and really pulled off the emotional parts beautifully. 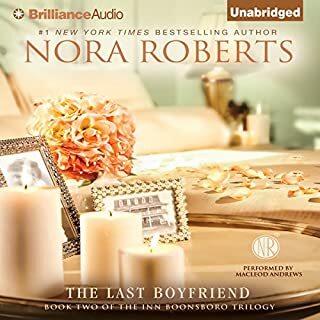 I always love Nora's books, but I do not always enjoy the audio versions. 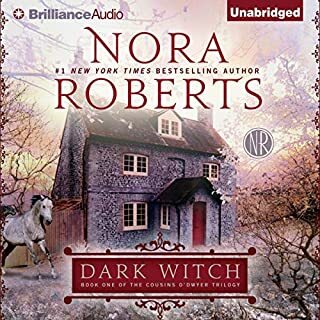 For me this narrator made this book better. 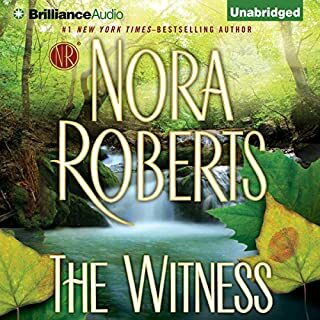 The narrator is excellent, easy to listen to. The story of 4 women is so easy to relate to. I was so drawn into this story. Highly recommended! 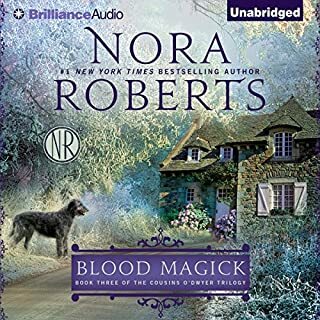 Where does Bed of Roses rank among all the audiobooks you’ve listened to so far? 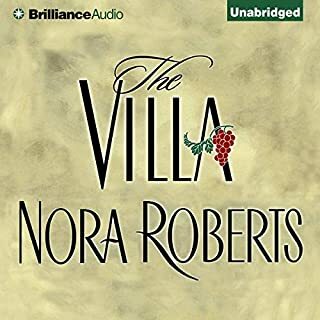 This was actually one of my first audiobooks and it still ranks high among the books I've listened to so far. I love the commraderie among the women in the story and how their social group formed. In each story we learn a little more about them and how they came to be where they are. I think that the history we share with our closest friends shapes who we are and that comes out in this story. What about Angela Dawe’s performance did you like? She does really great voices and it's like watching a movie with her performances. This book is full of moments that made me laugh, cry, and hit things in frustration. Can't ask for more than that. 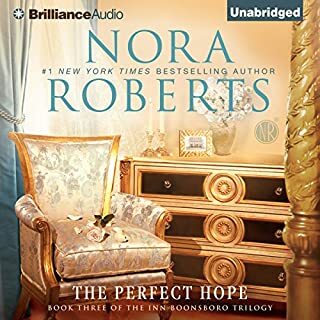 Two Thumbs Up for Bed of Roses! 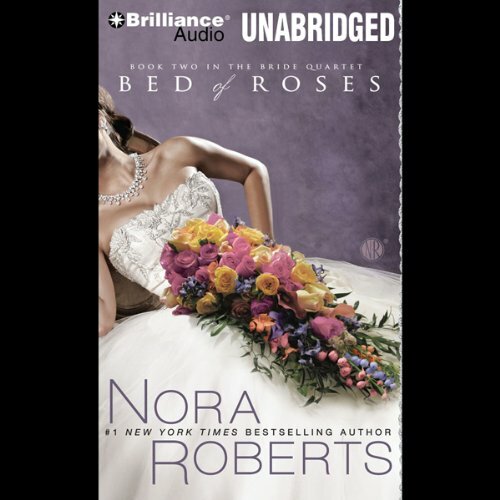 Bed of Roses by Nora Roberts and narrated by Angela Dawe gets a TWO THUMBS UP! This is a precious story about friendship, family, and the love they all experience and share. This was entirely credit worthy...a must read, especially if you are in the mood to get to know some adorable characters who live, love, laugh and "make" happiness! 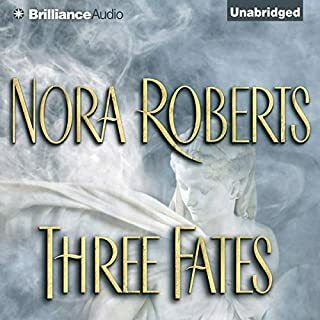 I love this series from Nora Roberts. 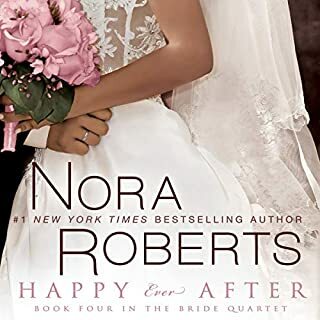 The Bride Quartet is the first books I have read by Nora Roberts and I am getting very attached to the characters. 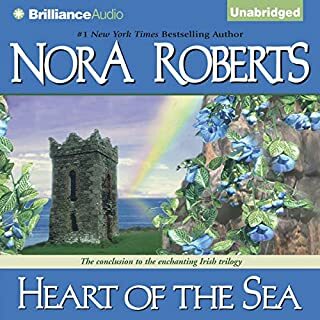 This series is a light easy romantic read. It is not action packed or mysterious but just an all around good love story. 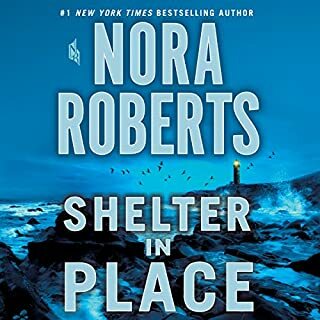 I thought I would be bored with these books but I am finding them hard to put down, not because they are nail biting can't wait to turn the next page but because the characters are so well written and you feel like you know them. 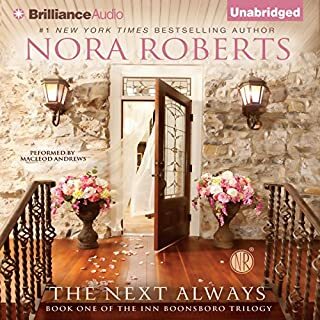 This is the second book in the series and it focuses on Emma (the florist of the wedding business). It seems each book is going to focus on one friend out of the four friends that opened a wedding business together. I cannot wait to read the next book in the series and will probably go crazy waiting for November to read the last of the four books. If you are looking for a feel good romance then try out these books. 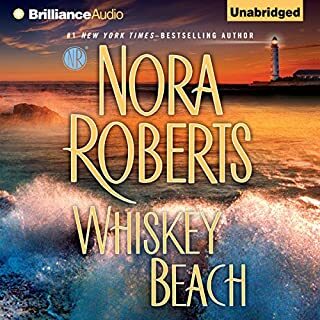 This book is funny and sweet and touching and everything you want in a Nora Roberts novel. 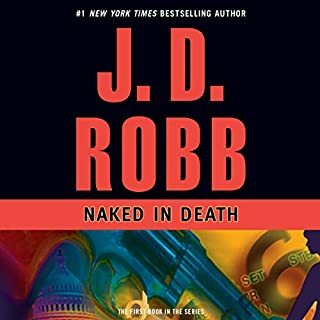 I liked it even better than the first book of the series, and I liked that one a lot. Can't wait for the next one! 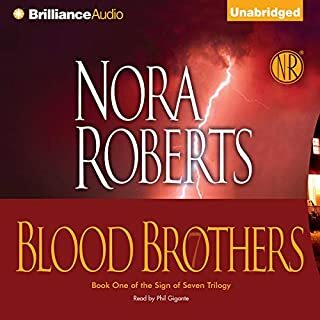 I finished all 4 books in this series, riviting, couldn't stop listening. How does she do it....... My favorite author of all time. Really not a stand-alone. 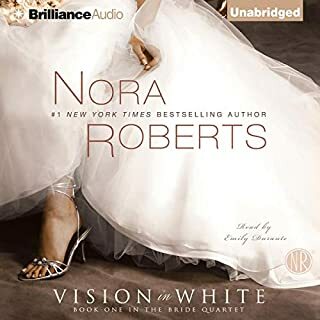 Read after Vision in White for most enjoyment. 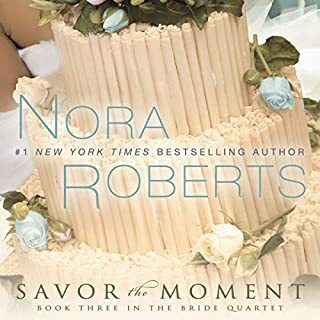 Emma Grant owns and runs Centerpiece at Vows, the florist for Vows, a wedding venue and planning service, in partnership with her three friends, Parker, Laurel, and Mac. Jack Cooke is an architect and good friend of Del, Parker’s older brother. They have longed for each other for years and finally overcome their honorary brother snd sister status. Can Emma overcome her super romantic bent? Can Jack overcome his fear of a female moving in too close? Dawe does a decent job of narration.